Backwaters of dams built have created many man made lakes on rivers flowing through the state. These waters have become a sporting arena for a variety of fun filled activities for the professional, and the amateur. 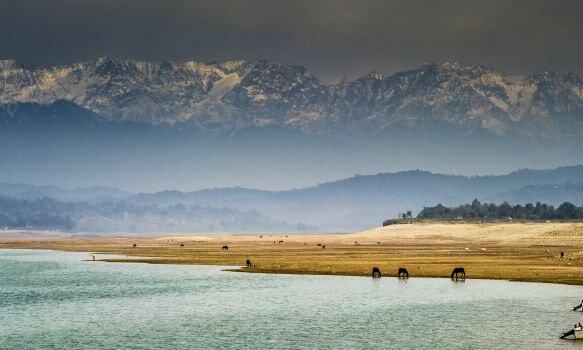 Damming of River Beas in 1975 created the huge lake christened as Maharana Pratap Sagar. During heavy monsoon flows it expands to cover an area of over 24,529 hectares. The Regional Water Sports Centre at Pong Dam, run under the aegis of Directorate of Mountaineering & Allied Sports, Manali, is equipped with modern facilities and equipments. Basic, intermediate and advanced courses are conducted in Swimming, Kayaking, Canoeing, Rowing, Sailing and Water Skiing. Pong Dam centre also conducts trainings in water safety and rescue operations. Water sport activities for tourists are also conducted in Gobind Sagar Lake at Bilaspur, in Chamera Lake near Dalhousie and Pandoh Lake on the Mandi-Manali highway. 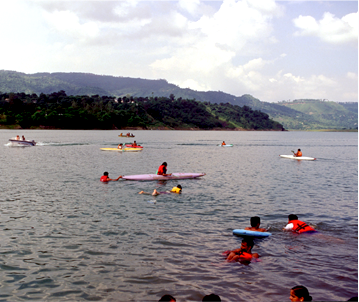 For the experienced campaigners, rowing and kayaking regattas are organized at Pong Dam and Gobind Sagar Lake.